#aerobd.news : Germany´s largest general aviation fleet-operator,FAI rent-a-jet AG, a member of FAI Aviation Group, has announced further fleet expansion with the addition of its largest corporate aircraft to date, an Airbus ACJ319Corporate Jet. Newly registered D-AXTI will be available for lease and ad hoc charter fromearly 2018 following an extensive cabin upgrade and other enhancements. With 29 VIP seats, the ACJ is equipped with five additional fuel tanks, enabling a range of more than 5,000 nm or 11 hours’ flying. The 2001-built aircraft willfeature a VIP bathroom with shower and will be equipped with the latest communications and inflight entertainment technology, including high-speed connectivity and wireless iPad controls. 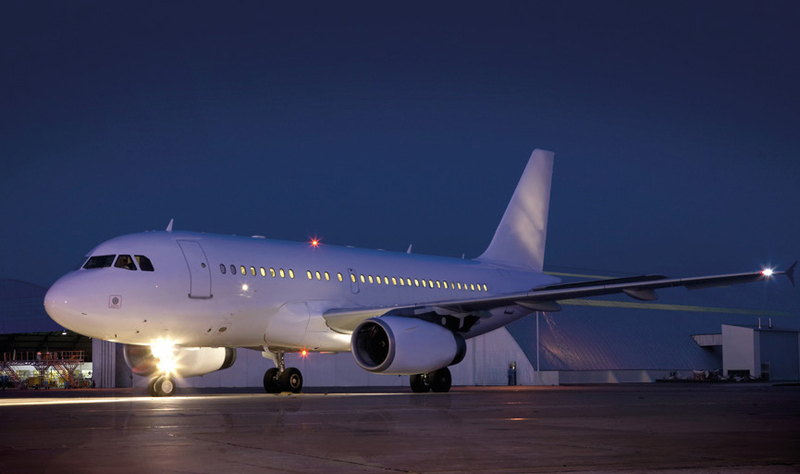 The ACJ319,which offers almost twice the cabin size of a traditional business jet,will be marketed by FAI specifically to the19-seat plus, large-cabinuser market. It is anticipated that it will be maintained by FAI’s MRO subsidiary, FAI Technik. FAI plans to showcase the aircraft to the charter broker fraternity early next year. The ACJ will join a total fleet of 25 aircraft based at FAI’s headquarters in Nuremberg, Germany including four Global Express, six Challenger 604, 11 Learjet 60, one Learjet 55, one Premier 1A and a King Air 350. FAI Group operates Germany’s largest fleet of business jets and utilized more than 13,000 hours of air time in 2016. FAI´s group fleet of 25 jet aircraft and oneTurboprop includesan Airbus ACJ319,four Bombardier Global Express, six Bombardier Challenger 604, 11 Learjet 60 and aLearjet 55 plus aPremier 1a and aKing Air 350. Headquartered at Albrecht Duerer Intl. Airport in Nuremberg, Germany, FAI runs a 14,000 m² carbon neutral FBO. FAI employs a full time staff of 200 people, including 60 mechanics and engineers at FAI´s in house MRO plus some 50 part time physicians and paramedics. FAI operates satellite offices in Dubai and Miami, as well as line stations in Bamako and Dakar.